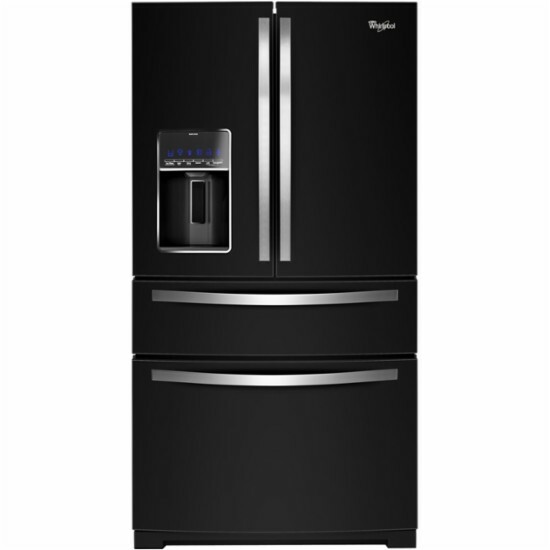 Keep food fresh with this Whirlpool French door refrigerator. The 24.7 cu. ft. capacity, external refrigerated door and five glass shelves provide plenty of storage space. An external ice and water dispenser on this Whirlpool French door refrigerator has PUR filtration and measured fill for easy access to filtered water and ice.